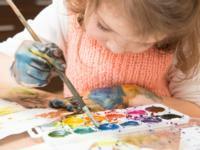 Details: Art Spark ~ (Ages 5 – 7) Thursdays, 4:30 – 5:30 pm. February 7 – March 14. In this six week class, students will be exploring various mediums by completing a new project every day. Min. 4 students to run. Projects will be listed on the GAC website. Instructor: Lauren Dolloff. $70.00/student, $59.50/member. *When signing up for a class, if you wish to bring a guest, indicate the number of guests under the ‘Guest Registration’ line. If you intend to attend the class on your own, please leave this section blank, so as not to register for extra spots and incur extra costs.